The following free teen programs are open to the public and provide networking and training opportunities in filmmaking and the performing arts. No Comment is a year long advanced filmmaking fellowship designed to produce well rounded and extremely capable leaders in preparation for college and career placement in the film industry. re:imagine/ATL will provide a collaborative environment in which students are given the tools and guidance to produce, from start to finish, a project of their choosing. 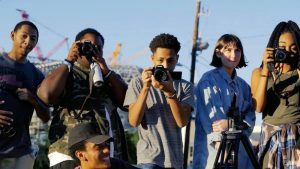 Currents is a free monthly series of networking opportunities for film and media-minded teens hosted by Atlanta Film Society and re:imagine/ATL. Through Currents, teens can get involved with hands-on demonstrations and and meet the working professionals in the industry. Open Studio provides a laid back environment for for teens to hang out, connect, and create with other young creatives. Hosted at re:imagine/ATL headquarters in the Lang Carson Recreation Center in Reynoldstown, this pop-up event is free and open to teens. Register to attend. Also, follow re:imagine/ATL on on Facebook, Twitter and Instagram to get information about when the next Open Studio will be scheduled. 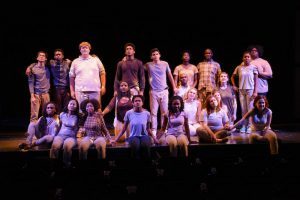 Alliance Theatre Teen Ensemble is a free program for high school students from all over Metro-Atlanta who are interested in performance, writing, and theater production. The goal of the Teen Ensemble program is to give Atlanta area high school students an inside look into the work being done at the Alliance Theatre, and provide opportunities to create world class theater experiences with a teen perspective. It is not necessary to be an actor or performer to be a part of the Teen Ensemble, but all applicants must audition and interview to be considered. Audition slots are posted online. Palefsky Collision Project at the Alliance Theater assembles a diverse group of 20 teenagers from metro Atlanta to explore and dissect a classic text under the guidance of a professional playwright and director. 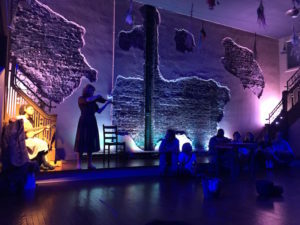 Through improvisational exercises, oral history, choreography, and creative writing, the teenagers create a new piece inspired by the classic text but perceived through their own utterly unique and contemporary prism. The Palefsky Collision Project is a fantastic way to become a part of the South’s premiere regional theater company, meet and collaborate with professional theater artists, participate in an innovative creative process, and make great new friends from schools all over the metro area. There is no charge to participate, in fact the students are paid a stipend for their work on the project! Students must be high school juniors or seniors to participate. 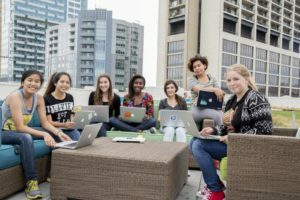 Girls Who Code is a computer science program that can apply to several areas of filmmaking including visual effects, animation and game design – just to name a few. The Summer Immersion Program is a FREE 7-week summer program for 10th & 11th grade girls get exposure to tech jobs and join a supportive sisterhood of thousands of girls across the US!